Maine Magazine, Downeast Magazine and FreeportUSA are coordinating with L.L. 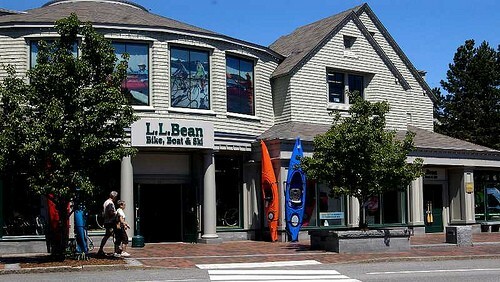 Bean, Freeport’s Casco Bay YMCA and others to bring together Freeport’s first “Be Well Weekend” June 24-26, 2011, to celebrate outdoor recreation, with an emphasis on health and wellness. For double occupancy queen rooms, the rate is $479 (tax included). Other room combinations are available. Check our availability page for information. Participating in the Be Well Weekend are Casco Bay YMCA, and the Falmouth Wellness Solution, who will be hosting two days of outdoor activities like Zumba, Yoga, Pilates, Thai Chi, and many more on the L.L.Bean Discovery Park and in the Freeport Village Station. This event will give every age group a chance to try out the latest fitness trends in 30 minute increments. The schedule of events also includes the Freeport Farmers’ Market, bike tours with Freeport Ski & Bike, an L.L.Bean Boot Fun Run, interactive healthy cooking seminars, health screenings and opportunities to explore Freeport’s mountains, wooded trails, coastal waters and desert! Book early to be sure you are able to get the room and massage times you want!